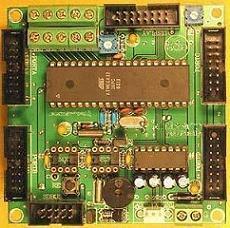 "Make Printed Circuit Boards in Minutes!" PnP Blue produces high quality prototype PCB resist layouts making your design ready to etch. PnP Blue is a Mylar (Polyester) backed material in which several layers of release agents and resist coatings are applied. 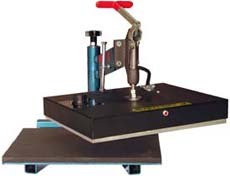 An image is printed or photocopied onto this film, using a laser printer or photocopier (dry toner based), and subsequently ironed or pressed onto a cleaned copper clad board. The image area applied to the film is subsequently transferred to the copper board, along with the high quality resist (blue). The film is removed and resulting board is ready to etch in ferric chloride. How to... PnP Wet produces hobby quality prototype PCB resist layouts making your design ready to etch. PnP Wet is a paper backed material with a release emulsion applied. An image is laser printed or photocopied onto the PnP Wet, then applied to the copper board with an iron or heat press. The toner is transferred to the copper board that acts as an etch resist. The PnP Wet is removed by soaking in water, and the resulting board is ready to etch in ferric chloride. Work well on a variety of materials, including steel, cast iron, and forgings. Most have a standard 118° drill point. For almost 40 years, HIX Corporation has taken pride in producing the finest Heat Transfer Machines. They are the choice for top transfer manufacturers and users around the world. HIX Heat Transfer Machines are built by craftsmen and feature the most reliable and proven components. In the Hix foundry, they manufacture heat platens with a cast-in heating element that is strategically placed for consistent, even heating. HIX ensures the quality, durability, and safety of their machines through ETL/CE certification and by offering a lifetime warranty on the heating element as well as a one-year limited warranty on components. FR-4 Glass Epoxy , designated FR-4 by NEMA, is a woven glass cloth construction laminate with an epoxy resin binder. ( an 8 ply construction in .059'' thickness.) This material conforms to the requirements of military specification 13949, revision F, type GF, and is rated 94V-O by Underwriters Laboratories. This material is generally used in communications, computer, computer peripherals, instruments, industrial controls, and automotive electronics. It offers advantages in the following areas: Electrical Properties—Excellent for high technology communications and computer systems. Mechanical Properties—Greater than paper base and composite materials. Moisture Absorption—Lower than paper base and composite laminates. Glass Transition Temperature—Higher than most FR-4 laminates. Solder Float—Passes 160 seconds at 575°F.